Great post. A lot of your birds you show here are also found in South Africa. Chennai, with its wooded forests, shrub lands and water bodies, is meant to be bird-friendly. I should feel lucky that I live here. But the luxury escapes me. Not that there aren’t enough birds to spot. Our residential bird count is impressive. A large number of migratory visitors still show up every winter. It’s just that my city isn’t friendly to them anymore. For many years now, Chennai has been clamoring for modernization by any means necessary. Like any other city in India, this city once had an admirable appetite for urban growth. It wanted to improve the quality of living, extend public transport facilities and ensure better security measures. The hunger to become a cleaner, safer and nicer city has since skyrocketed into pathological greed to be branded as being truly global – whatever that means. 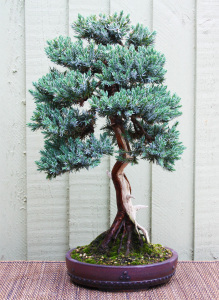 My Juniper Squamata is enjoying the warmer weather at the moment and pushing out a lot of new growth. The roots of this tree were severely pruned last year to get it into this stunning pot by Ian Baillie and I am relieved to say there has been no ill effects on the trees’ vigour. I will let it grow on throughout the remainder of our summer and redefine the foliage pads later in the year. 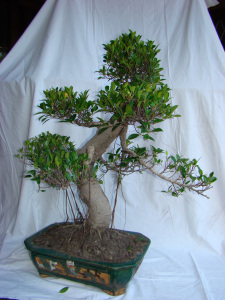 In 2009 ( a lot happened back then…) I bought one of these S shaped Figs from a very reputable bonsai vendor. 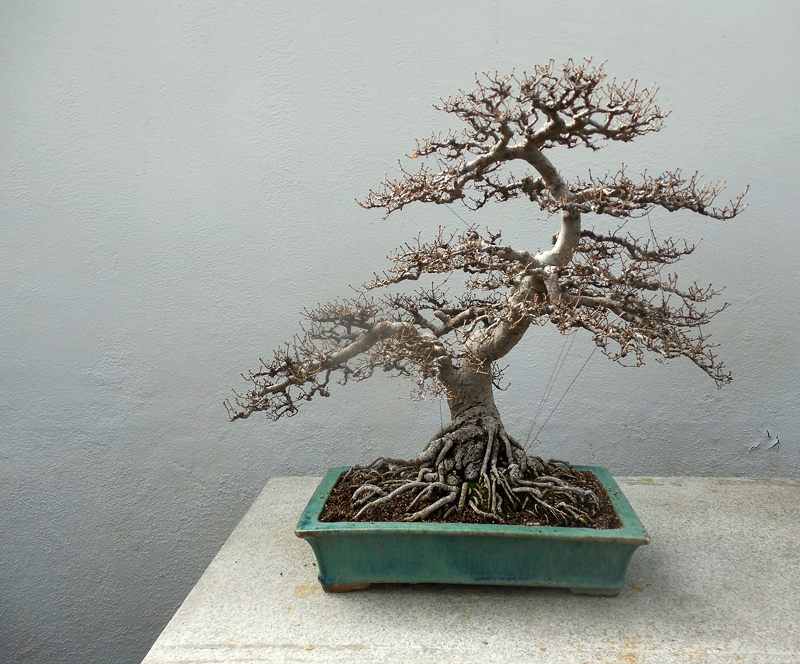 (As he now declares that these S-shaped Chinese imports are not bonsai – I will refrain from naming him). In any case, I always wanted one and I have four now. And quite happy with my bonsai. This one had some aerial roots already and I was advised by all to cut them off.